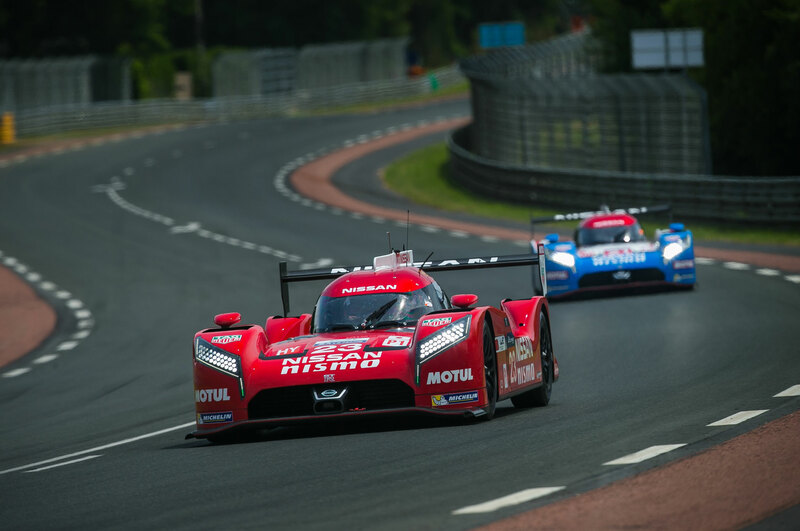 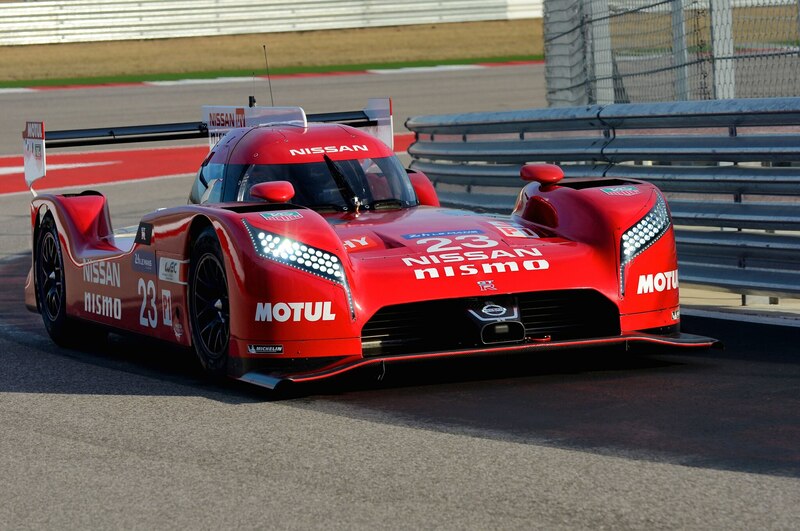 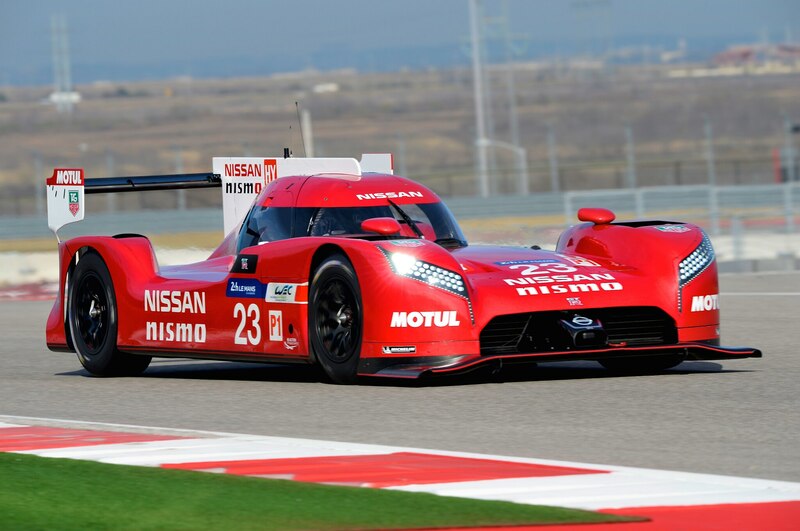 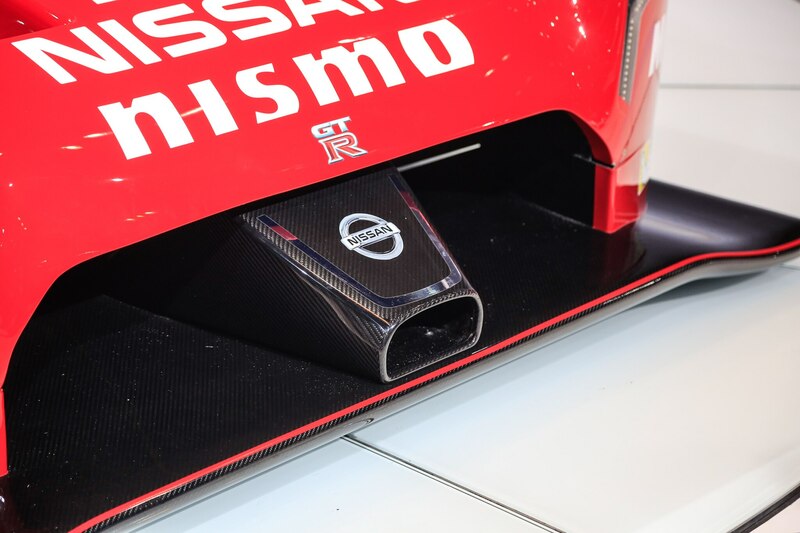 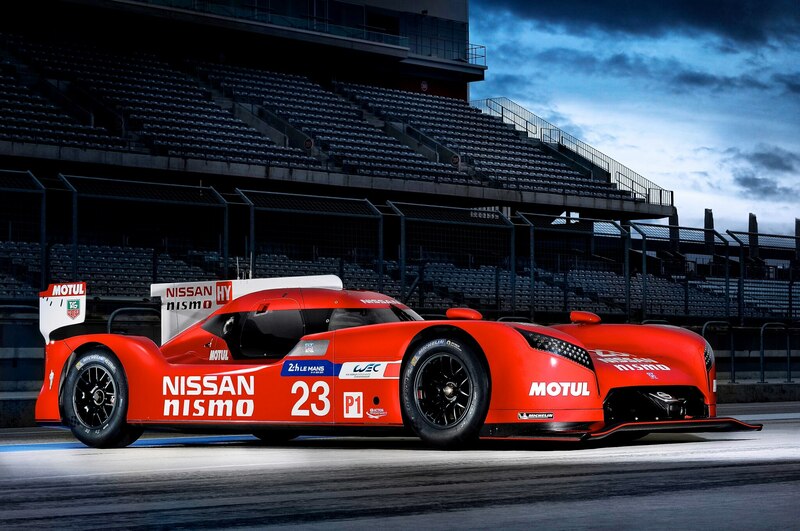 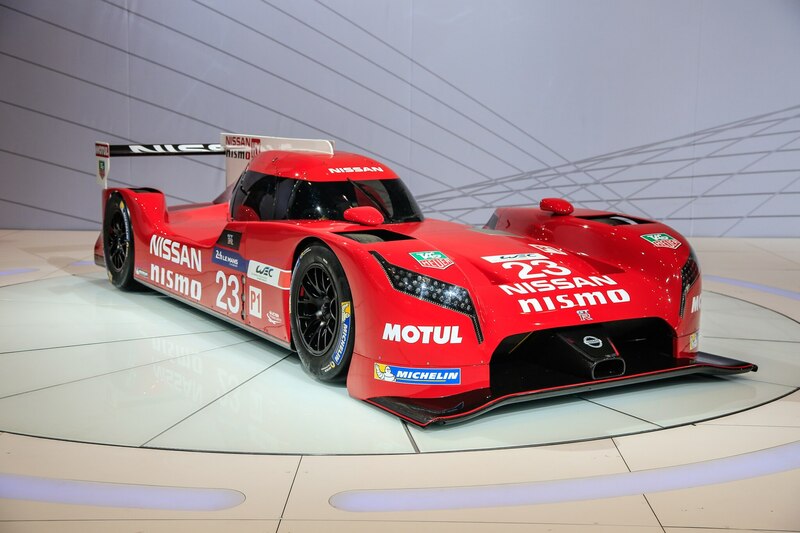 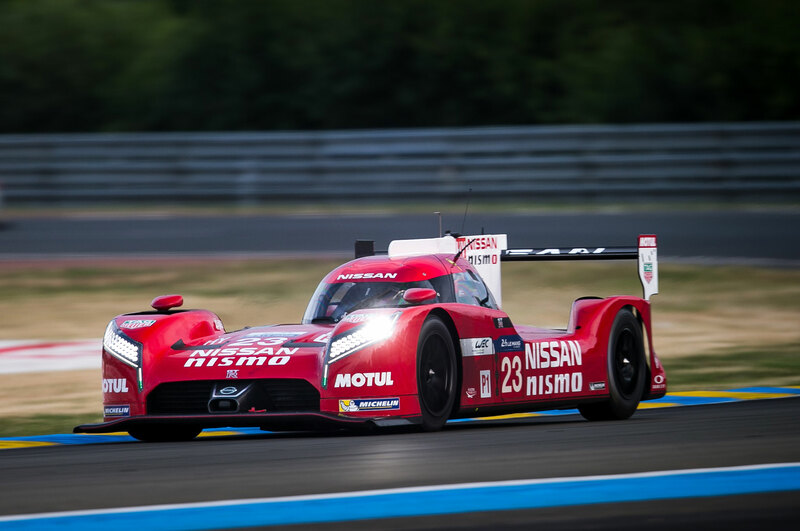 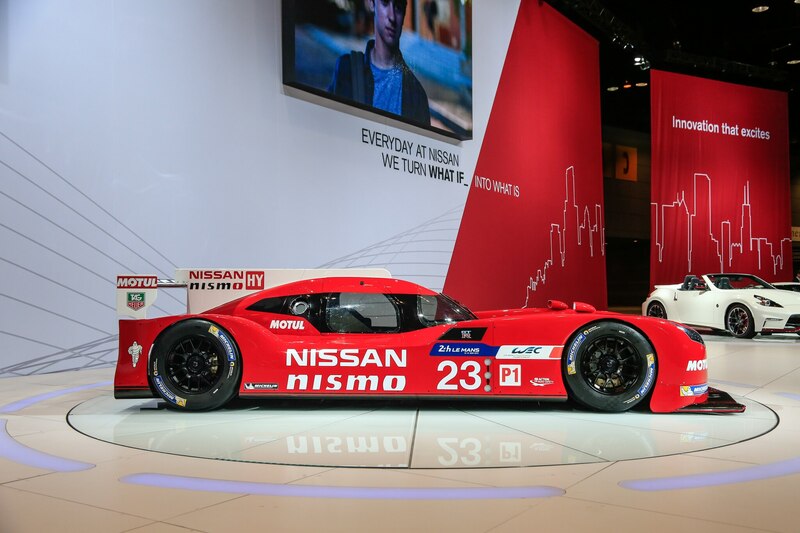 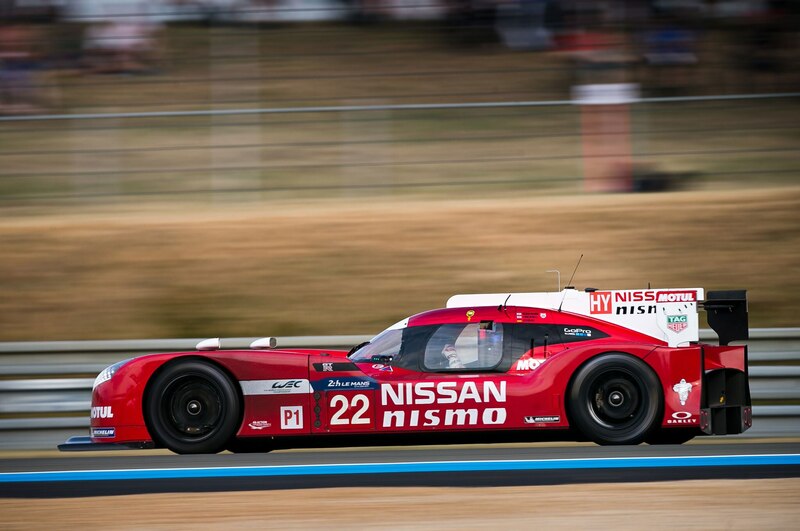 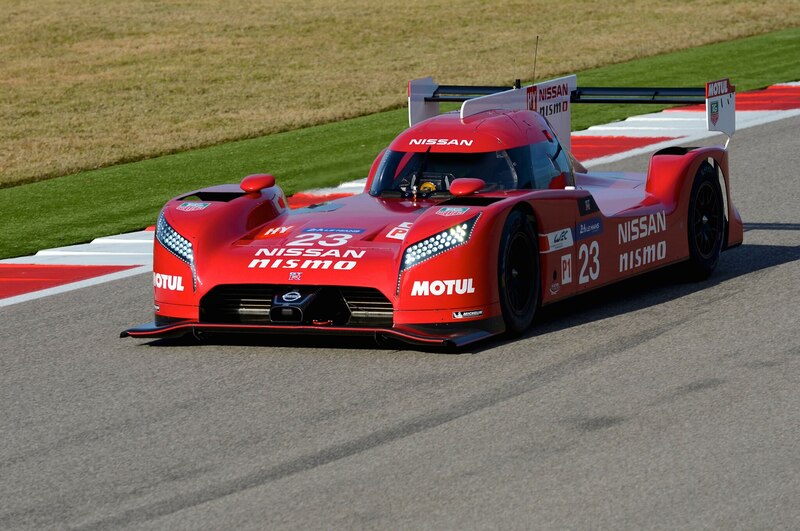 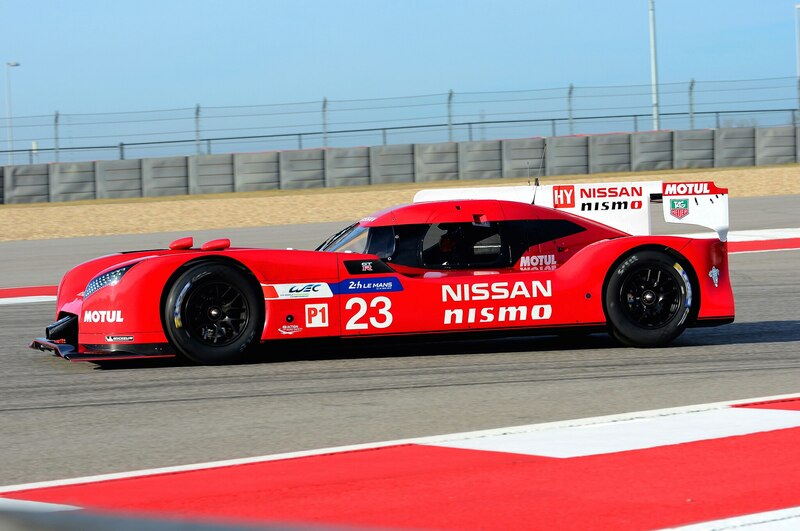 Created by the same team of contrarians who developed the equally provocative DeltaWing, the Nissan is an unapologetic “eff you” to a half-century of race-car convention, featuring a seemingly obsolete front-engine layout and relying on front-wheel drive. 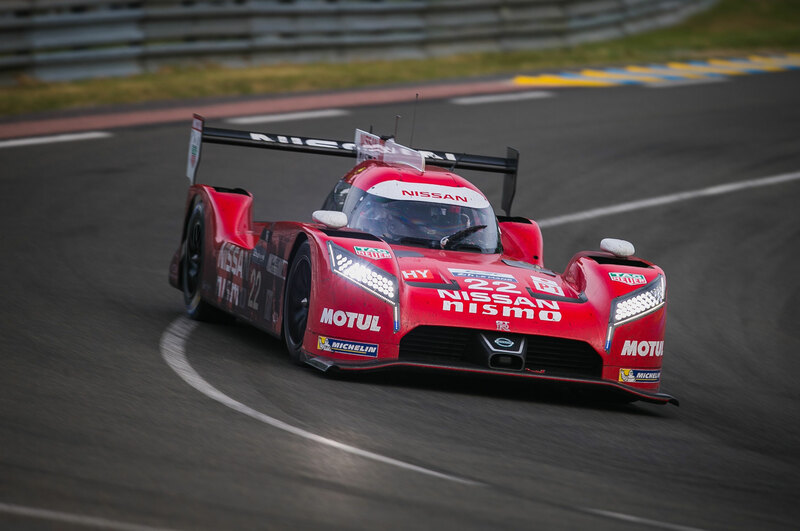 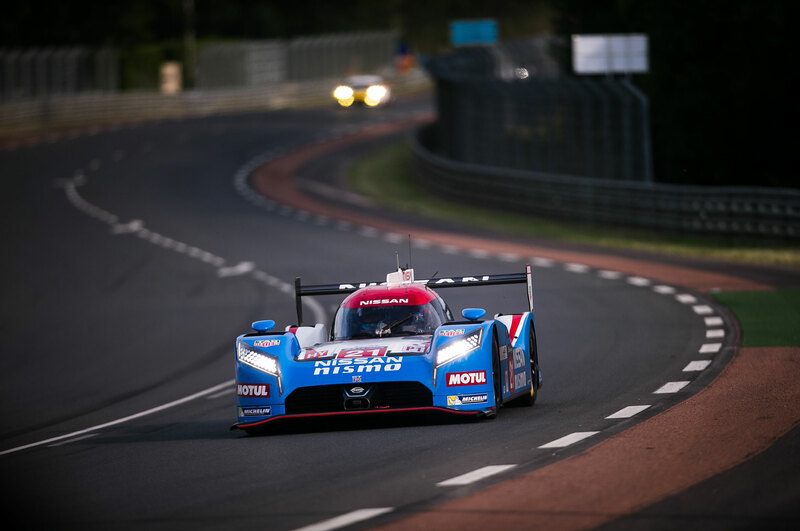 In designing the Nissan GT-R LM, Bowlby and chief engineer Zack Eakin realized that since the rules for Le Mans (and Formula 1 and IndyCar) are written for conventional mid-engine layouts, there are virtually no regulations restricting aerodynamic innovation on the front of a car. 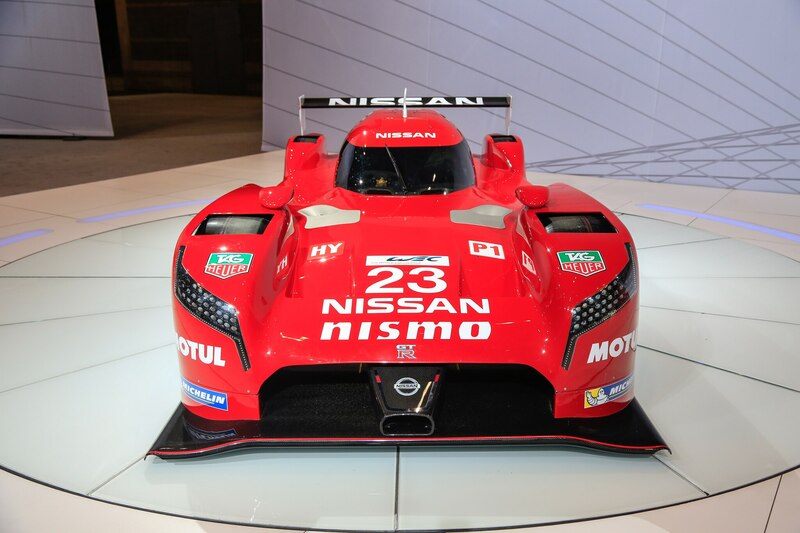 With the engine mounted in front of the cockpit, they were able to create large tunnels to channel air under the chassis and reduce drag. 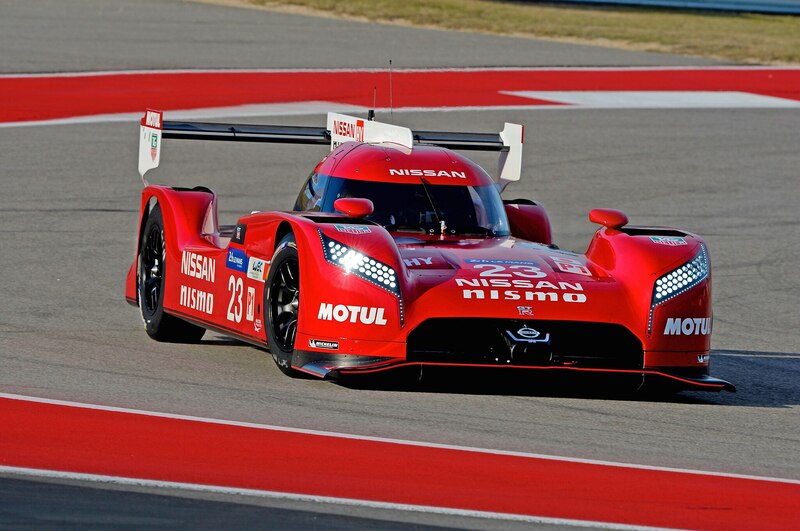 The engine puts weight on the front wheels, meaning more traction for the tires to harness the twin-turbo V-6’s power. 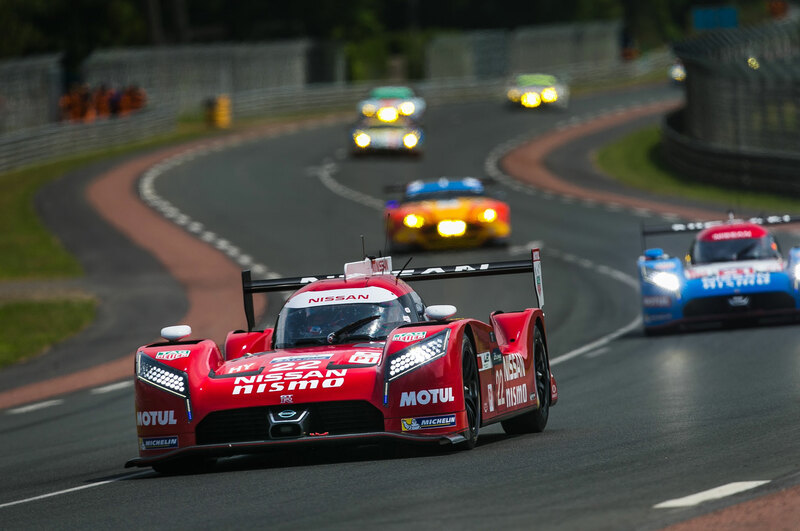 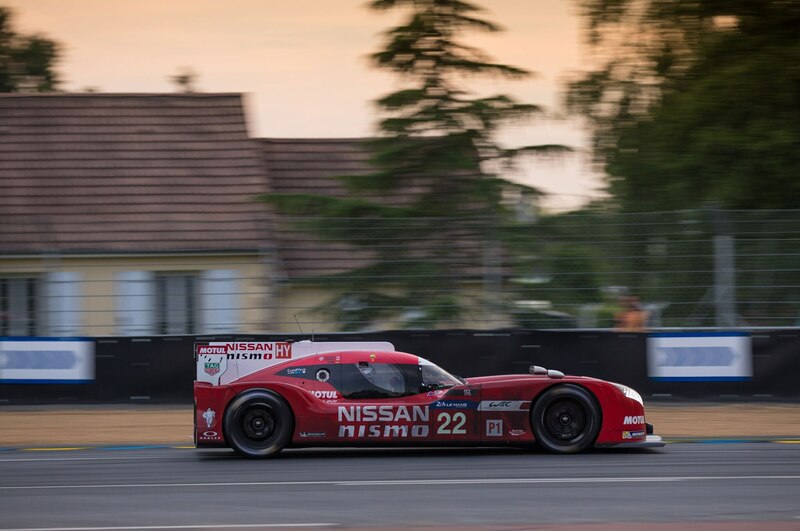 An off-the-shelf energy recovery system (ERS) should have boosted total output to well past 1,000 hp, but it didn’t work as advertised and Nissan raced with a deficit of several hundred horsepower. 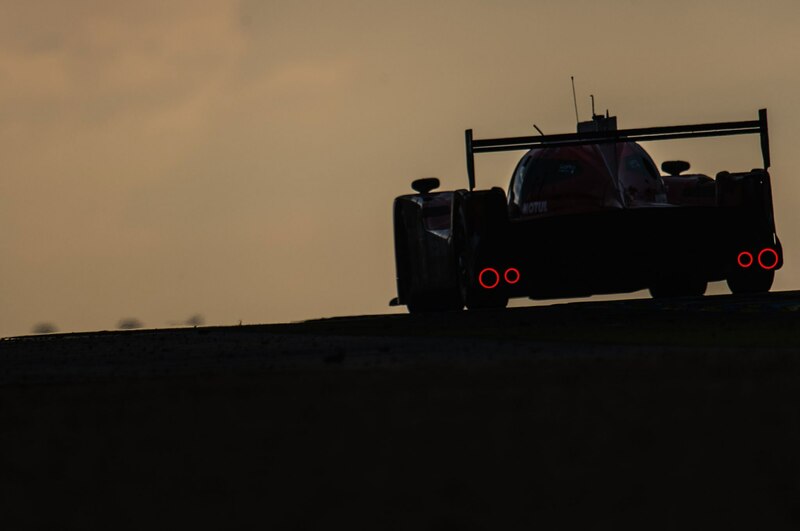 The hybrid system’s weight acted like a boat anchor, and the lack of regenerative braking compromised the overworked front rotors. 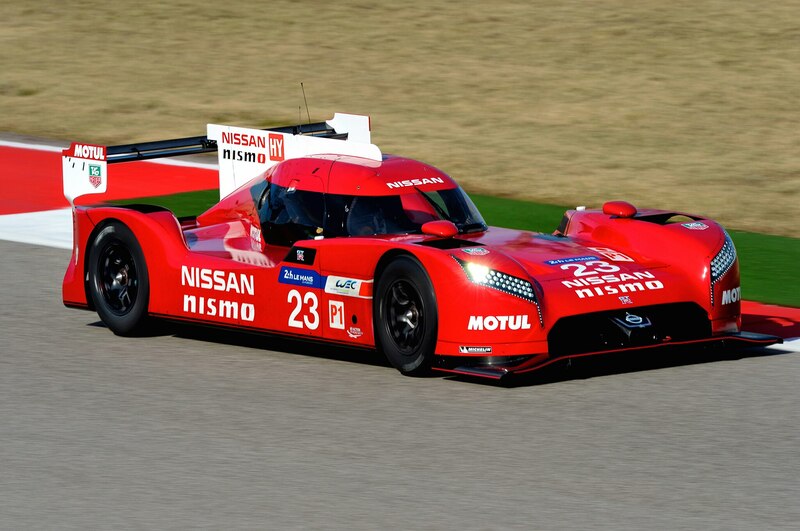 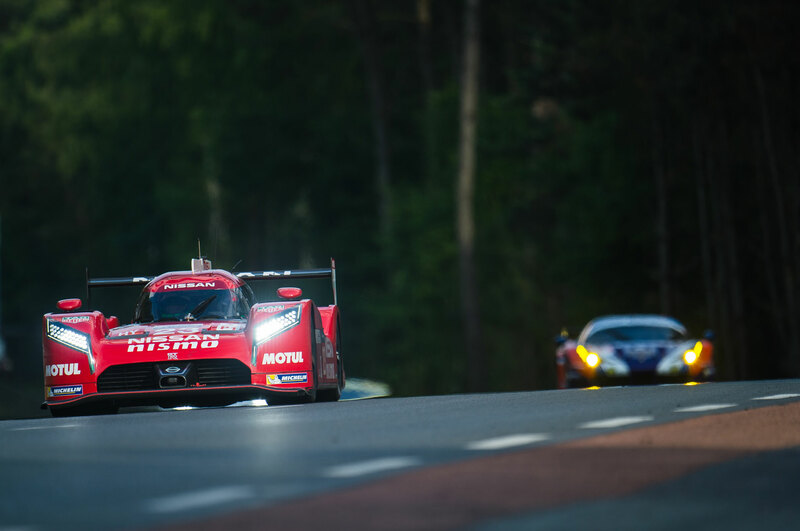 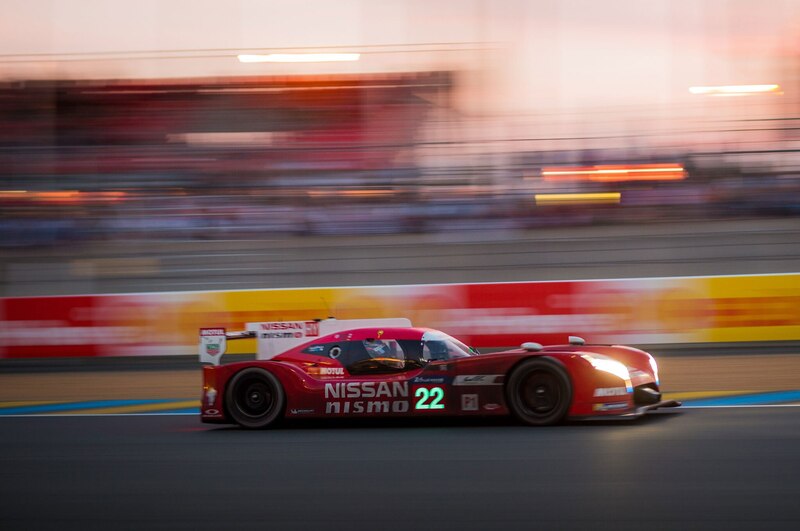 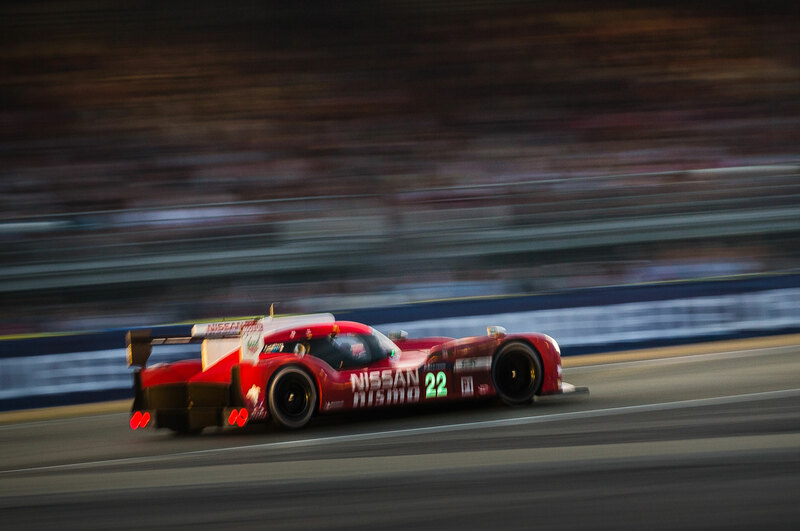 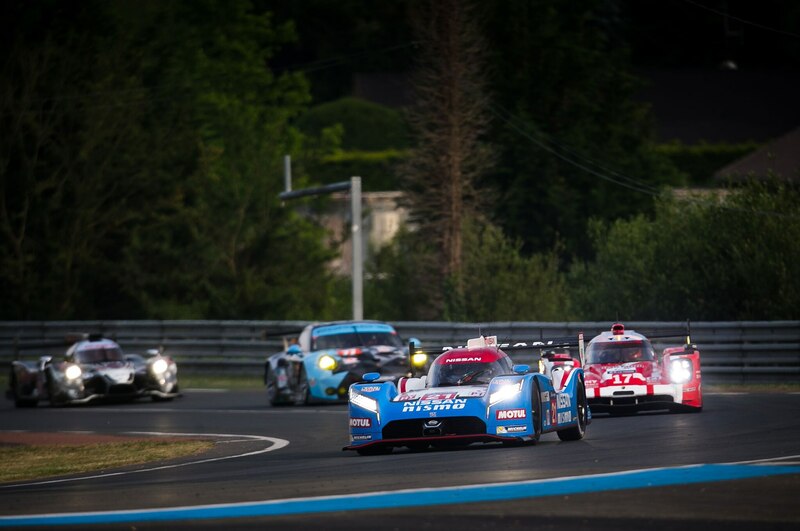 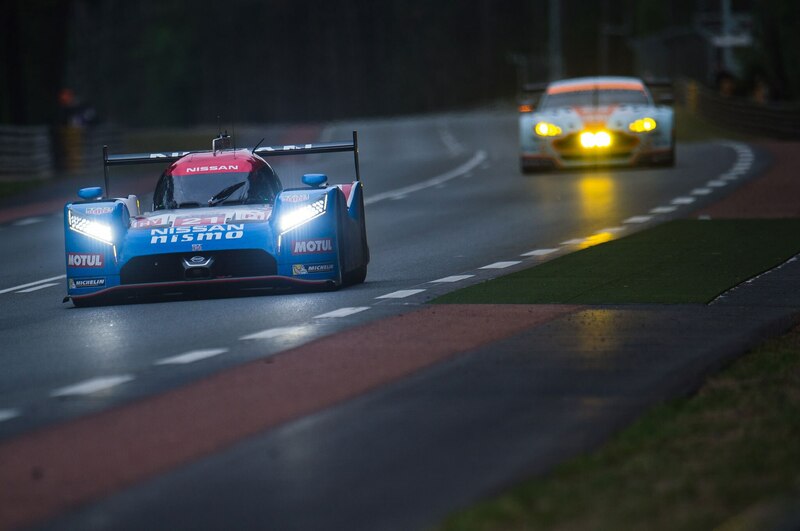 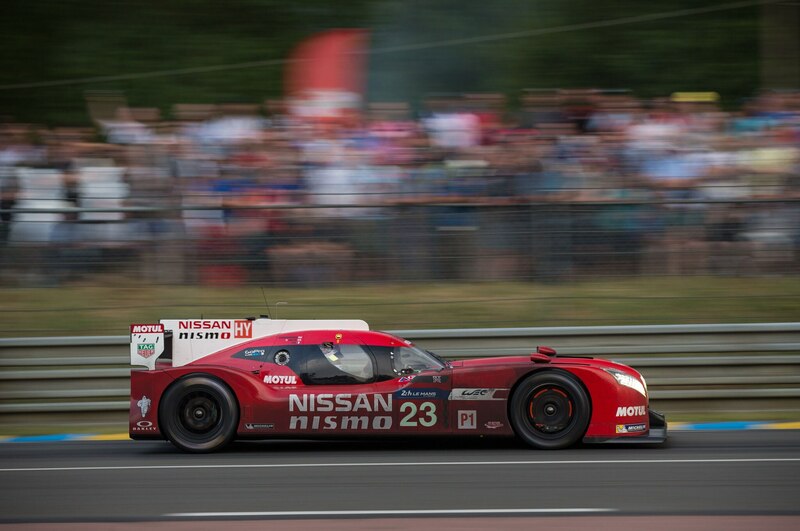 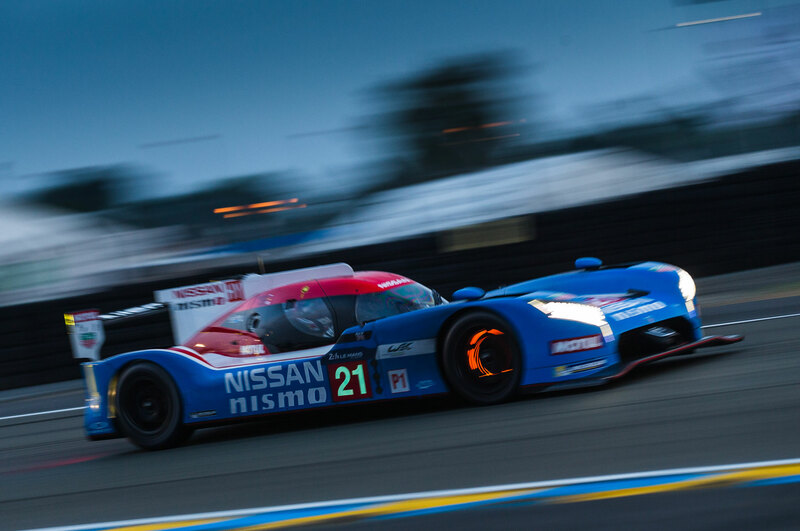 Amazingly, the GT-R LMs lapped faster after 20 hours than they did during qualifying. 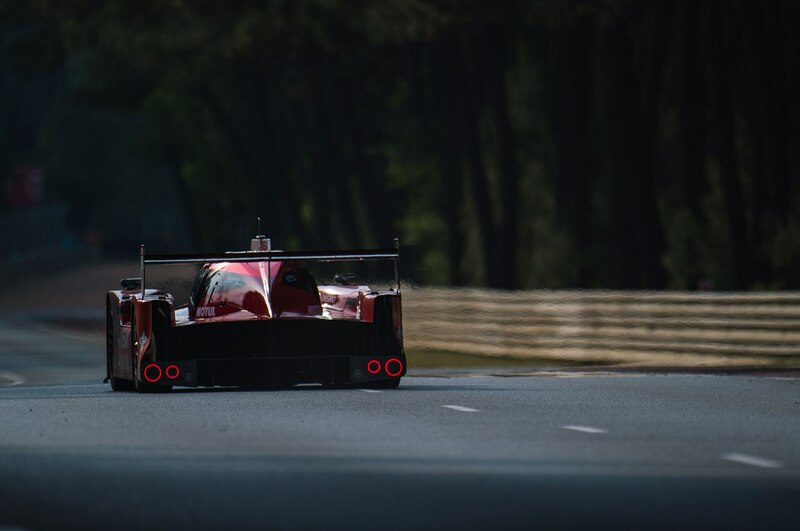 A second car died tantalizingly close to the finish, but the third one reached the checkered flag, though it was 153 laps behind the race-winning Porsche 919 Hybrid. 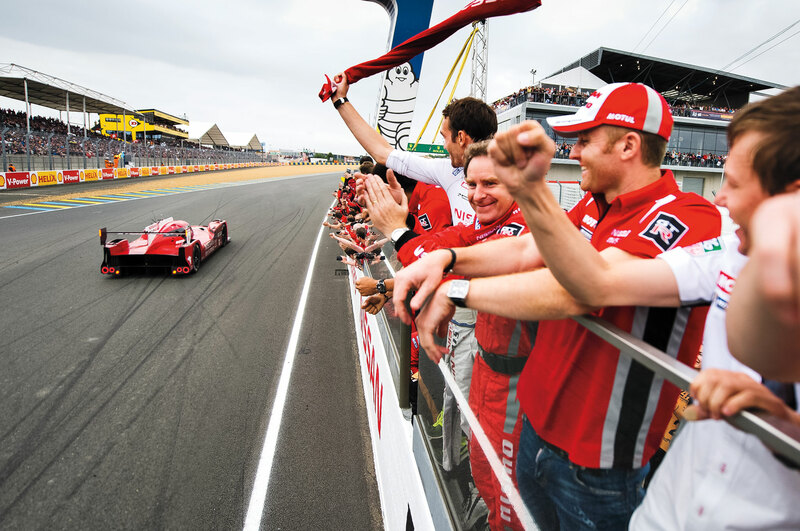 Eakin, standing on the pit wall with the rest of the exhausted crew, led the cheers. 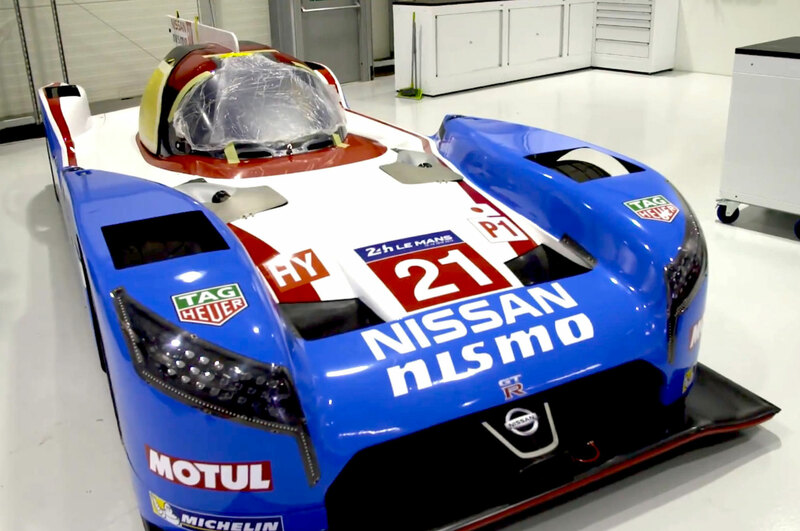 “We worked so hard to build three cars that not getting one of them home would have been really depressing,” he said.